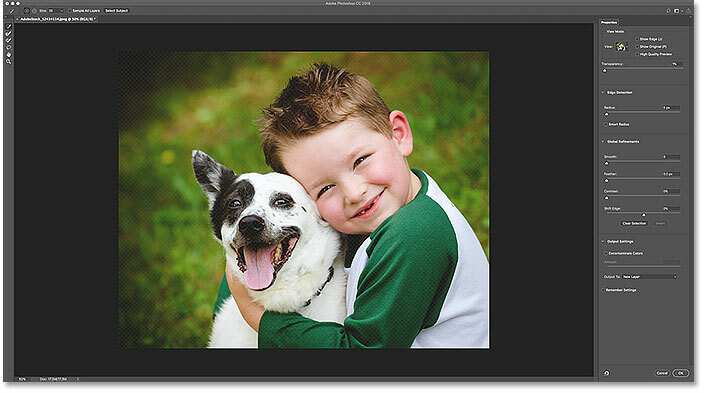 Photoshop, in the past, has looked at images as nothing more than a collection of pixels. It knew that different pixels were different colors, and that some were brighter or darker than others. But for all its power, Photoshop couldn’t see the bigger picture. It had no idea that there was a person, an animal, a tree, or any other type of object in the photo. That’s all changed in Photoshop CC 2018 thanks to some impressive artificial intelligence known as Adobe Sensei, Adobe’s machine learning technology. 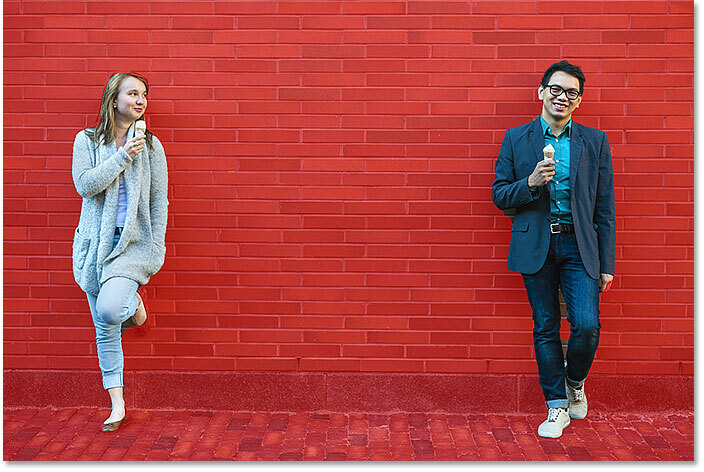 Adobe Sensei is what powers the search engine in Adobe Stock that lets us quickly find images of people, places or other subjects. 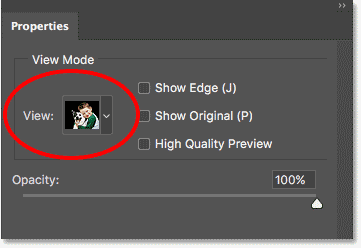 And now, Adobe has brought that same technology over to Photoshop as a brand new selection feature known as Select Subject. 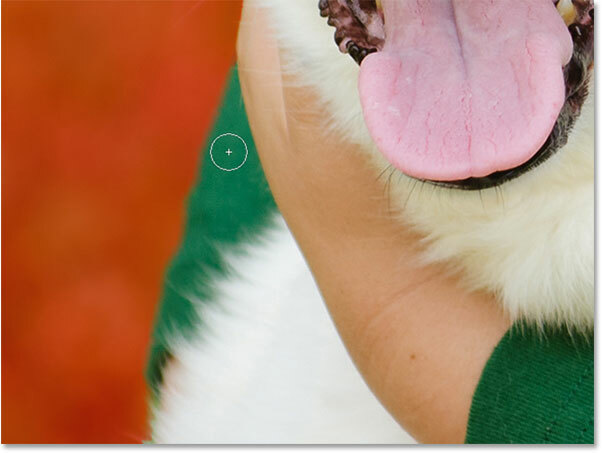 Select Subject automatically finds the most prominent objects in the image and selects them! 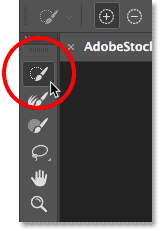 It’s a bit like Photoshop’s Quick Selection Tool but without the need to drag the tool around. In fact, Select Subject works with just a single click! Of course, you’ll still want to refine your selection afterwards. 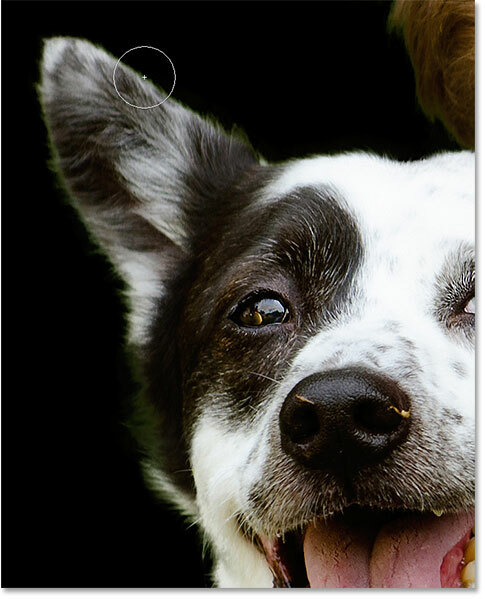 So once we’ve learned all about Select Subject, we’ll learn how to improve upon the initial selection using Photoshop powerful Select and Mask workspace. 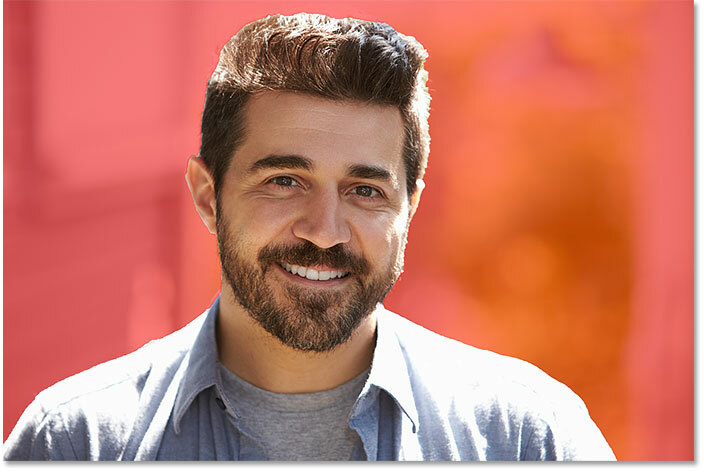 Select Subject was first introduced in the January 2018 Creative Cloud update, so to use it, you’ll need Photoshop CC and you’ll want to make sure that your copy is up to date. Let’s get started! 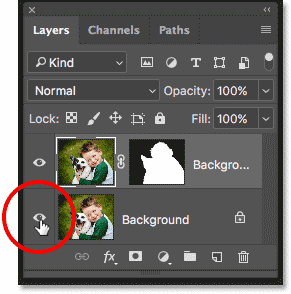 Adobe gives us three ways to access the Select Subject command in Photoshop CC 2018. Choosing Subject from under the Select menu. Make sure either the Quick Selection or Magic Wand tools are selected. The first of two Select Subject buttons. Clicking the Select and Mask button in the Options Bar. The Select Subject option in the Select and Mask workspace. 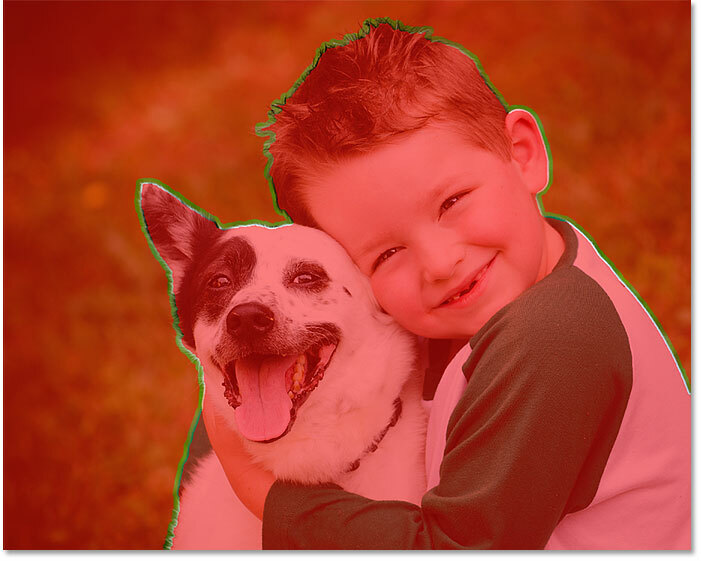 Select Subject automatically detects the most prominent objects in the image and selects them, isolating them from their background. But while the technology behind Select Subject is impressive, it’s important to keep your expectations in check. Rather than thinking of Select Subject as a tool that will do the entire job for you, think of it instead as a time-saving, automatic Quick Selection Tool. Like the Quick Selection Tool, Select Subject can get you 90-95% of the way there, and the fact that it does so with a single click (as we’re about to see) is pretty amazing. But in most cases, just like with the Quick Selection Tool, you’ll still need to refine your selection afterwards using Select and Mask. An example of an ideal candidate for Select Subject. Photo credit: Adobe Stock. Select Subject had little trouble detecting the main subject in the photo. Trying a second image, this time with two people. Photo credit: Adobe Stock. Two people in the same photo are no problem for Select Subject. Two people again, but with only one in focus. Photo credit: Adobe Stock. Select Subject selected only the woman in focus. 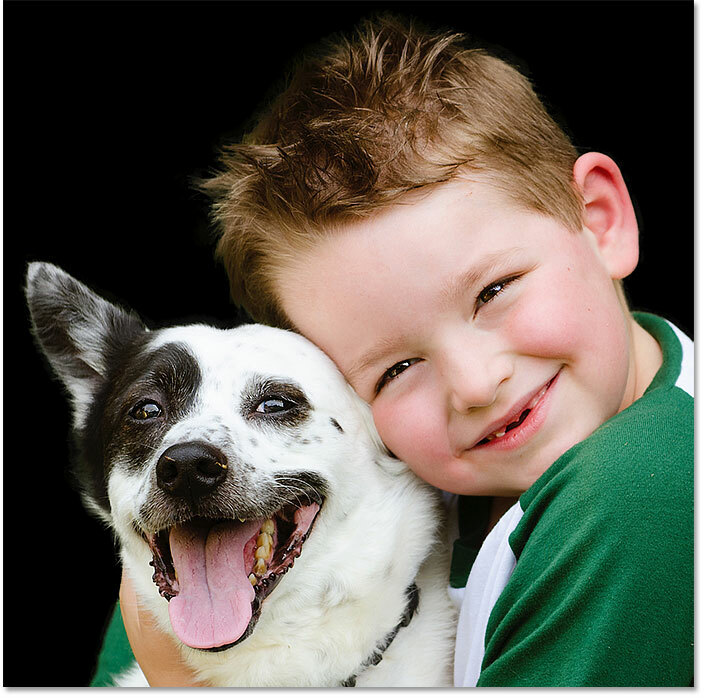 Example 4: Pets are people too! Testing Select Subject on two very different subjects. 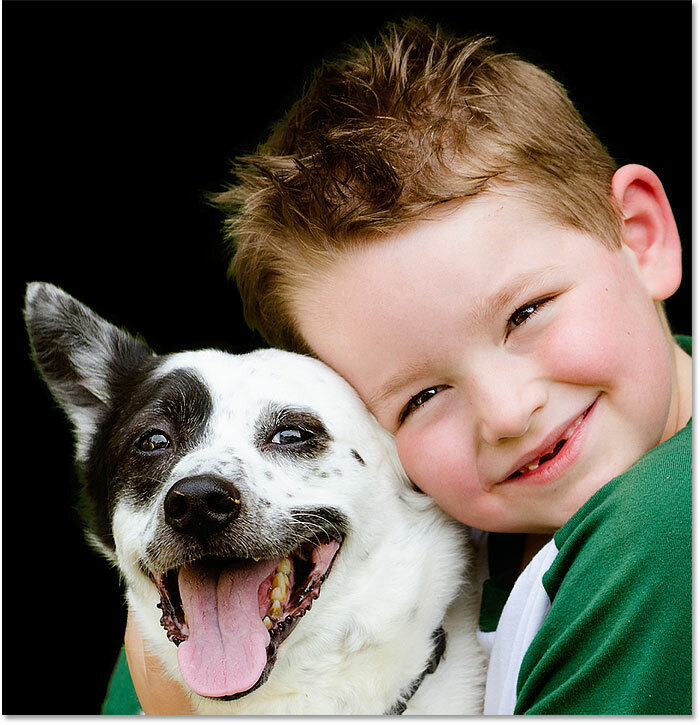 Select Subject knew that a boy and his dog should always be together. 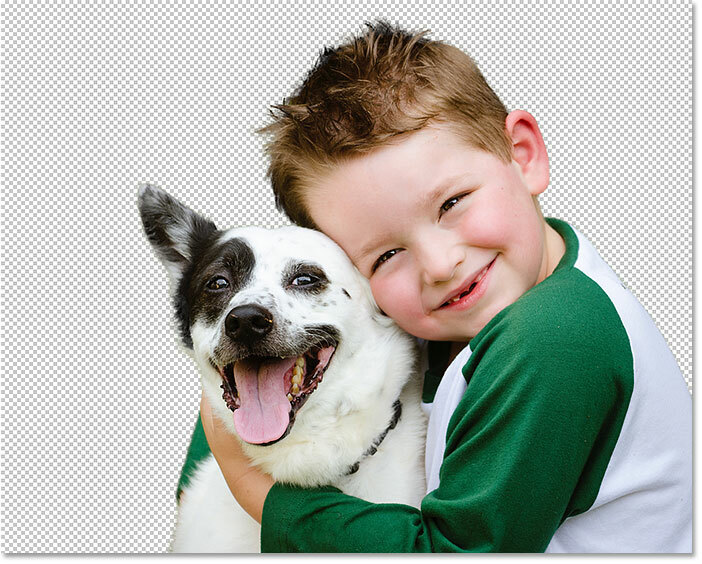 So far, we’ve been choosing Select Subject from the Options Bar in Photoshop. But as we’ve seen, while Select Subject can give us a great starting point, the selections it makes are not perfect. 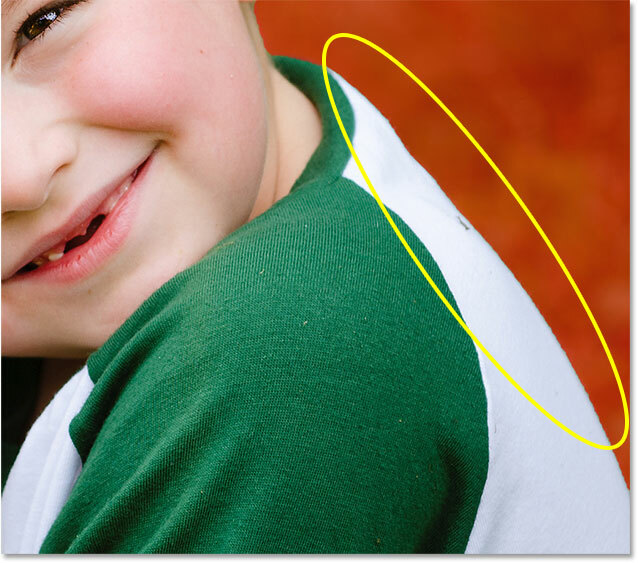 Often, parts of your subject will be missing while areas of the background will still need to be removed. 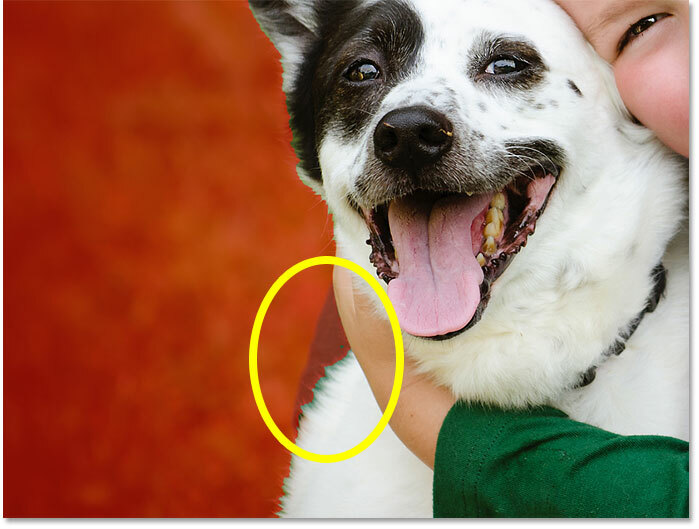 The edges around your subject will also need some cleaning up. In other words, you’ll almost always need to refine your selection afterwards using Select and Mask. 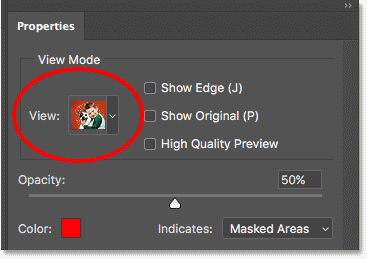 This is why it makes the most sense to choose Select Subject not from Photoshop’s Options Bar but from within the Select and Mask workspace. Let’s look at an example of how to use Select Subject and Select and Mask together. 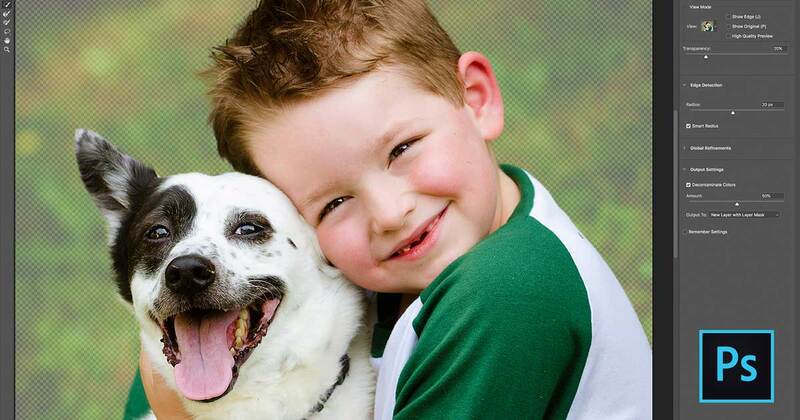 I’ll use the same image of the boy and his dog so we can compare the results. Opening the Select and Mask workspace. 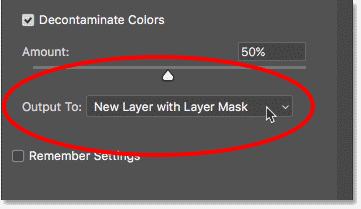 Select and Mask in Photoshop CC 2018. Choosing Select Subject from within Select and Mask. Changing the View Mode for the selection to Overlay. The initial Select Subject selection. Select Subject missed a spot. Choosing the Quick Selection Tool. Adding to the selection with the Quick Selection Tool. 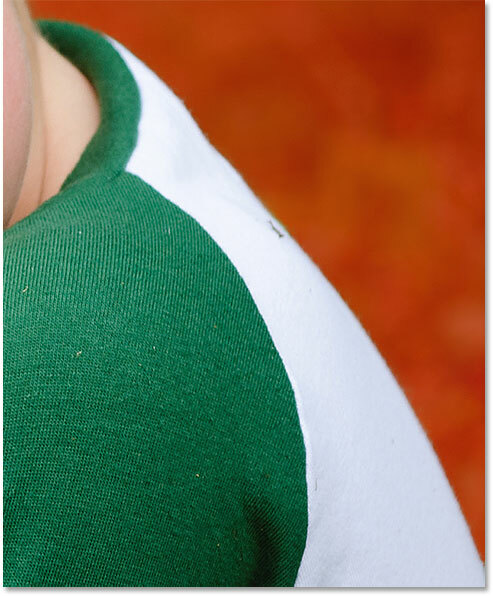 Jagged edges are a common problem with initial selections. I could try smoothing out the edges using the Smooth slider in the Properties panel (found in the Global Refinements section). 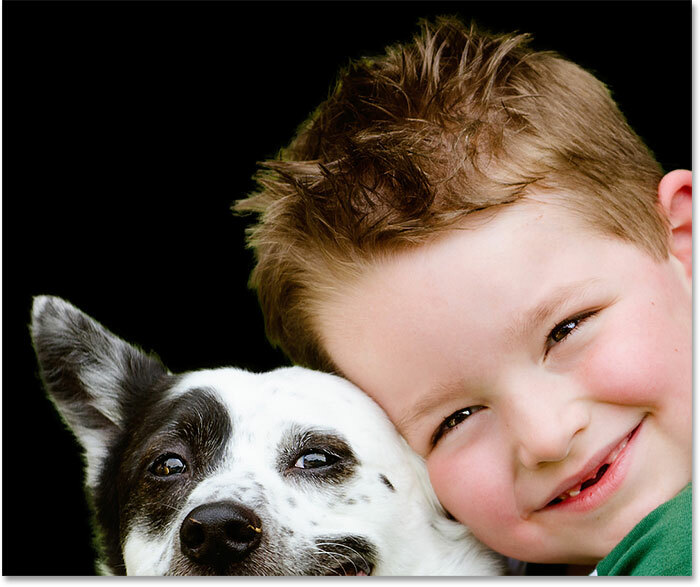 But the problem is, I also have the boy’s hair and the dog’s fur that need to be added to the selection, and smoothing the edges will make the hair and fur look worse. 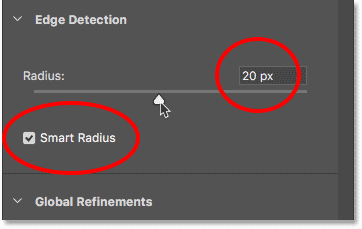 Increasing the Radius value gives Photoshop room to improve the selection edges. The result after increasing the Radius value (and turning on Smart Radius). Changing the View Mode to On Black. The initial hair and fur selection from Select Subject. The already improved hair and fur selection. Selecting the Refine Edge Brush. 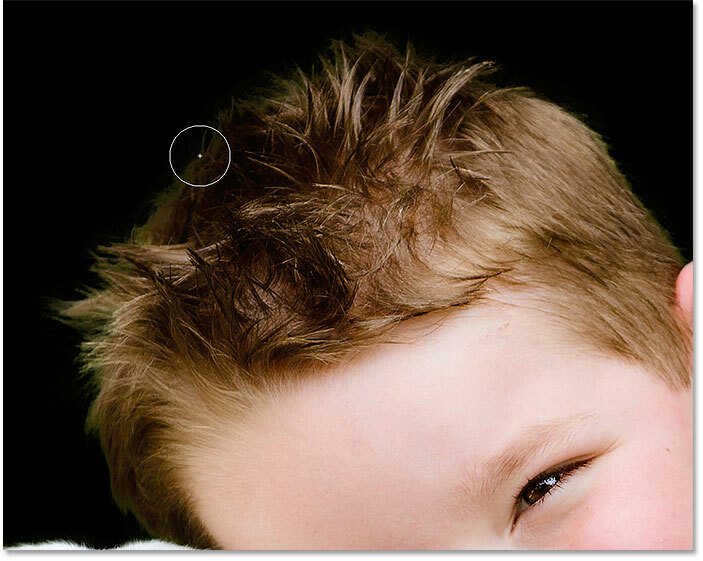 Adding more hair to the selection with the Refine Edge Brush. More fine detail has been added to both the hair and fur. 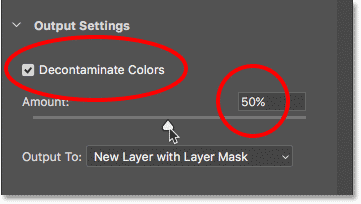 Turning on Decontaminate Colors and lowering the Amount value. The color fringing is now gone. Outputting the selection as a new layer with a layer mask. Hiding the Background layer to view the selection. And there we have it! 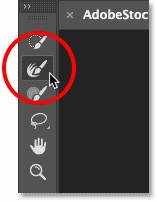 That’s how to use the new one-click Select Subject feature to make an initial selection of your subject, and how to refine the selection using Select and Mask, in Photoshop CC 2018!